After Mercy and Disgrace, we have a new offering from Danish author Jussi Adler-Olsen. 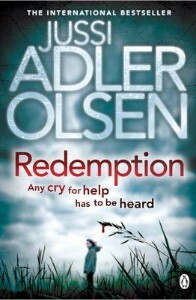 Redemption is the third novel in the Department Q series featuring cold case detective Carl Mørck. He is asked to investigate an old and decayed message that has been found in a bottle. Forensic examination indicates that it was written using human blood and, by painstakingly deciphering the jumble of legible letters still on the note, the team realise that they are reading a cry for help from two young boys. The kidnapping and murder of children is always a difficult subject to write about well. The writer cleverly juxtaposes the cold case with the latest attempts by the kidnapper to ingratiate himself into a family to kidnap the children. This means that we get the immediacy of a real-time sequence of events with a more reflective investigation into a strange and disturbing message in a bottle. The character of the kidnapper is given plenty of depth. A disturbed childhood dominated by religious mania has repercussions for minor religious sects later in life. I think more could have been made of the close religious communities that we get glimpses of. Their claustrophobic way of life means that, when harm is done to them, they shy away from involving the police and other representatives of authority and prefer to rely on the help of those in their small circle of acquaintances. This allows the presence of a serial killer in Denmark to go unnoticed for a significant period of time. Carl Mørck keeps a relatively low profile in this book and I actually preferred the present day kidnapping mystery although the message in the bottle gives a poignancy to the narrative that hangs over the whole book. The novel is a compelling and strange read and highly recommended to anyone who wants to read something a little different to the usual Scandinavian crime fiction fare. Sarah, I’m not sure I’d like to read this book. I agree crimes against children is a difficult subject to write about, and read as well if I may add. In the real sense, they are reported every day in Indian newspapers. Just yesterday, more than fifty children from a state-run school in a backward state took ill after eating adulterated/poisoned food served to them as part of the government’s much-touted free midday meal scheme. So far, 27 of the kids have died. This was a crime and somebody is responsible for it. Prashant, the scandal of the children’s food has made the news in the UK. I hope the person responsible is brought to justice. I agree the harm done to children is a difficult to subject to read about. It is done with senstivity in this book. 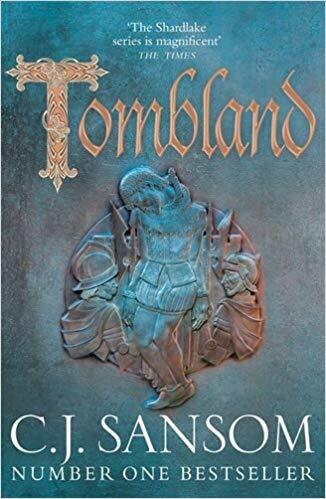 I’m falling behind here – I read the first in the series (I think you were one of the people who recommended it to me?) and bought the 2nd, but let my husband read it first. I must catch up and move on to this one! Thanks Moira, although you can probably read the series out of order. I’m really excited for this one. I’m reading Disgrace at the moment and have Redemption on my Kindle ready to go when I’ve finished. I think it’s a really solid series. Great! Look forward to your reviews. Have read his Mercy alone and liked it quite a bit more for Jussi’s writing(and the translation) rather than the actual plot. This novel seems to be darker in tone compared to Mercy, with shades of Alvtegen. It is always a tightrope walk when a novel is about violence perpetrated on children. The crisp dialogues and the manner in which Carl reacts to things, his black humor reminds me of ‘Frost’ of R.d Wingfield. Is ‘Assad’ still a character in this series? For a long time in Mercy was ambivalent about Jussi’s portrayal of ‘Assad’ as it is very close to a caricature of ethnic side kicks that we have read. But in the end I must say that Jussi did a fine job of giving Assad various shades (one I hope that will come out better in the next books). The strange pairing of the Carl and Assad was a riot to read. Hi – yes Assad is a character in this book and I agree that the partnership is an interesting one to read about. Their relationship is subtly portrayed and there are some intriguing clues to Assad’s personal life which adds to the narrative. Funnily enough, despite the subject matter, the book’s tone isn’t particularly dark. Jussi is able to write about evil and violence in a neutral way which adds to the sense of dislocation, which I like. Sarah – Oh, it’s good to know that you enjoyed this one. I honestly like the way Adler-Olsen has been developing the ‘Department Q’ investigation team. This story sounds like a terrific blend of past and present too, which always appeals to me. Thanks Margot. I too love past and present narratives. I am looking forward to catching up with you on this series. I have the first book, unread. After I read that one, probably how much I enjoy it will determine if I am interested in reading about crimes involving children in this later book. It is so dependent on the authors approach and skill as to whether I can read about that type of crime. A good approach I think, Tracy. I’ll be interested in your reviews. I’ll keep my eye on this one because I could use a Danish crime novel mixed into my summer. Are there other Danish crime novelists that you think highly of? I would recommend Lotte and Soren Hammer’s ‘The Hanging’ Judith. Another bleak read but very good. Happy reading! I enjoyed Mercy, which kept a friend up all night worrying about the kidnap victim. I haven’t read good reviews about book 2, so I’m skipping to this one, which has engendered better comments around the blogosphere. I didn’t realize it was about children. I may have to skip sections, but I do plan to read this one. I like Merck, Assad and Department Q. Me too Kathy. Assad is an excellent character.